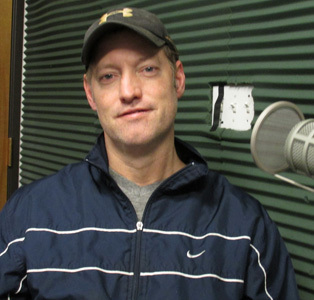 Host of WATD's Friends WIth Benefits Brian Stratton is a guest during this segment of Monday Night Talk! Brian, who has performed with many well known musicians and has his own band The Infractions, joins host Kevin Tocci to chat about the sudden deaths of David Bowie and Glenn Frey, plus talk about the group Chicago being nominated to enter the Rock & Roll Hall of Fame. Do you have an topic for a future show or info on an upcoming community event? Email us at mondaynighttalk@gmail.com or "like" and post a comment on our Facebook page: www.facebook.com/mondaynighttalkon959fmwatd. If you're a fan of the show and enjoy our segments, you can either download your favorite segment from this site or subscribe to our podcasts through iTunes today! © Monday Night Talk with Kevin Tocci - 2015. Unauthorized use and/or duplication of this material without express and written permission from the show host and/or owner is strictly prohibited. 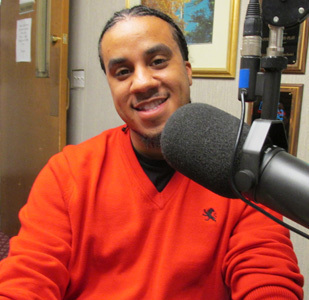 Papa Luis Andrade from Lifetime's The Rap Game is a guest on this segment of Monday Night Talk! Papa Luis comes in studio to chat with Kevin Tocci and State Rep Josh Cutler about his appearance on the reality television show, The Rap Game, and what it's like managing a local contestant from Brockton, Massachusetts, Lil Poopy! To learn more about the show, The Rap Game or see past episodes go to www.mylifetime.com/shows/the-rap-game. Do you have an topic for a future show or info on an upcoming community event? Email us at mondaynighttalk@gmail.com or "like" and post a comment on our Facebook page: www.facebook.com/mondaynighttalkon959fmwatd. If you're a fan of the show and enjoy our segments, you can either download your favorite segment from this site or subscribe to our podcasts through iTunes today! © Monday Night Talk with Kevin Tocci - 2015. Unauthorized use and/or duplication of this material without express and written permission from the show host and/or owner is strictly prohibited. State Representative Josh Cutler is a guest for this segment of Monday Night Talk! State Rep Cutler talks about some of the things that have been going on up at the state house like the passage of the opioid prescription bill, the upcoming budget season and a new hands free cell phone bill. 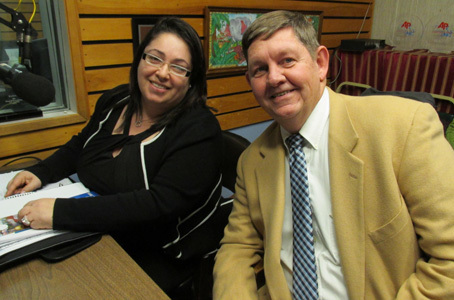 To learn more about what Rep Cutler and his work in the 6th Plymouth District, visit his website; www.joshcutler.com/. Do you have an topic for a future show or info on an upcoming community event? Email us at mondaynighttalk@gmail.com or "like" and post a comment on our Facebook page: www.facebook.com/mondaynighttalkon959fmwatd. If you're a fan of the show and enjoy our segments, you can either download your favorite segment from this site or subscribe to our podcasts through iTunes today! © Monday Night Talk with Kevin Tocci - 2015. Unauthorized use and/or duplication of this material without express and written permission from the show host and/or owner is strictly prohibited. 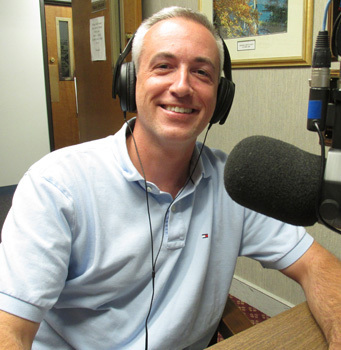 Chris Lessard, Program Director for Massachusetts Fallen Heroes is a guest during this segment of Monday Night Talk! Chris joins Kevin Tocci and State Rep Josh Cutler to provide insight into his organization, plus talk about a memorial for soldiers killed post 9/11 and their dream wedding contest! To learn more about the Massachusetts Fallen Heroes, visit their website; https://www.massfallenheroes.org/ . Do you have an topic for a future show or info on an upcoming community event? Email us at mondaynighttalk@gmail.com or "like" and post a comment on our Facebook page: www.facebook.com/mondaynighttalkon959fmwatd. If you're a fan of the show and enjoy our segments, you can either download your favorite segment from this site or subscribe to our podcasts through iTunes today! © Monday Night Talk with Kevin Tocci - 2015. Unauthorized use and/or duplication of this material without express and written permission from the show host and/or owner is strictly prohibited. 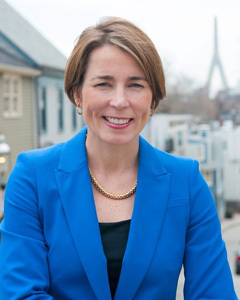 Massachusetts Attorney General Maura Healey is a guest during this segment of Monday Night Talk! Kevin Tocci and State Rep Josh Cutler talk with the attorney general about the formation of a new inter-agency group on illegal prescribing, plus Governor Charlie Baker signing a bill ensuring that women who are civilly committed for substance abuse disorders will be sent to a treatment facility, not to prison. For more information regarding the attorney general's office, please visit her website; www.mass.gov/ago/. Do you have an topic for a future show or info on an upcoming community event? Email us at mondaynighttalk@gmail.com or "like" and post a comment on our Facebook page: www.facebook.com/mondaynighttalkon959fmwatd. If you're a fan of the show and enjoy our segments, you can either download your favorite segment from this site or subscribe to our podcasts through iTunes today! © Monday Night Talk with Kevin Tocci - 2015. Unauthorized use and/or duplication of this material without express and written permission from the show host and/or owner is strictly prohibited. 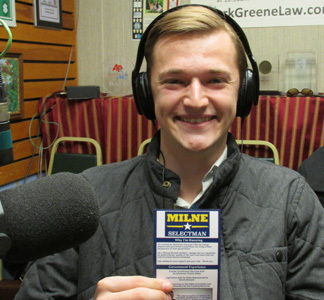 Alex Milne is a guest during this segment of Monday Night Talk! 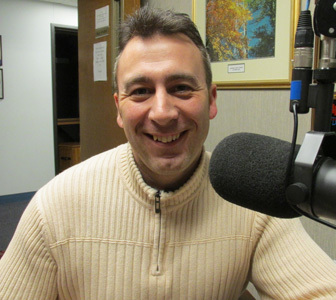 Alex, who recently announced that he's running for selectman in Norwell, talks about what some of the issues are in town and what he's willing to do if elected. 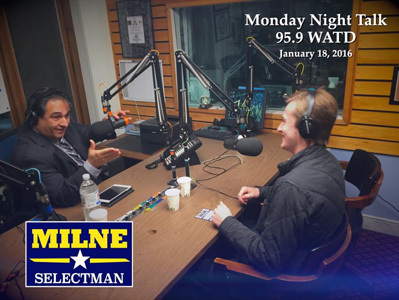 Weymouth Mayor Bob Hedlund and State Representative Geoff Diehl call into the show to express their support for Alex's campaign! For more information about Alex and his run for Norwell Selectman, please visit his website; www.alexmilnenorwell.com/. Do you have an topic for a future show or info on an upcoming community event? Email us at mondaynighttalk@gmail.com or "like" and post a comment on our Facebook page: www.facebook.com/mondaynighttalkon959fmwatd. If you're a fan of the show and enjoy our segments, you can either download your favorite segment from this site or subscribe to our podcasts through iTunes today! © Monday Night Talk with Kevin Tocci - 2015. Unauthorized use and/or duplication of this material without express and written permission from the show host and/or owner is strictly prohibited. HUG Foundation's Alex Bezanson is a guest during this episode of Monday Night Talk! Alex talks about the HUG Foundation 6th annual hockey game on Saturday, January 23th at the Rockland Ice Rink at 599 Summer Street in Rockland. 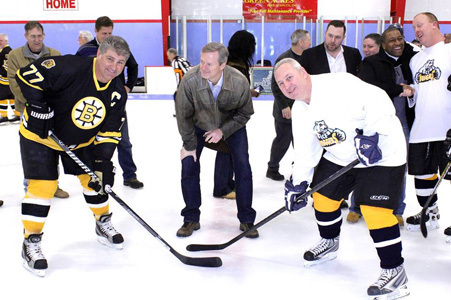 Several former Boston Bruins alumni will play against the Ice Huggers aka the HUG All-Stars. To find out more information about the game or to donate to the HUG Foundation go online to: http://www.hugfoundationma.org. Do you have an topic for a future show or info on an upcoming community event? Email us at mondaynighttalk@gmail.com or "like" and post a comment on our Facebook page: www.facebook.com/mondaynighttalkon959fmwatd. If you're a fan of the show and enjoy our segments, you can either download your favorite segment from this site or subscribe to our podcasts through iTunes today! © Monday Night Talk with Kevin Tocci - 2015. Unauthorized use and/or duplication of this material without express and written permission from the show host and/or owner is strictly prohibited. 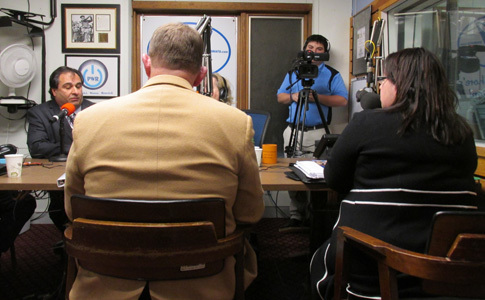 The candidates running in the special election to fill the vacant State Representative's seat in the 9th Plymouth District participated in a WATD political forum. WATD managing editor Christine James moderates the forum as Monday Night Talk host Kevin Tocci, Brockton Community Access General Manager Mark Linde and WATD reporter Charles Matthewson pose questions to two of the three Democratic candidates on the February 2nd Primary ballot; Brockton City Councilor Shirley Asack and Gerry Casssidy. The third candidate, Shaynah Barnes, was unable to attend due to illness. Do you have an topic for a future show or info on an upcoming community event? Email us at mondaynighttalk@gmail.com or "like" and post a comment on our Facebook page: www.facebook.com/mondaynighttalkon959fmwatd. If you're a fan of the show and enjoy our segments, you can either download your favorite segment from this site or subscribe to our podcasts through iTunes today! © Monday Night Talk with Kevin Tocci - 2016. Unauthorized use and/or duplication of this material without express and written permission from the show host and/or owner is strictly prohibited. Tyler Cohen Wood joins Kevin Tocci and Richard Rosen to talk cyber security on this segment of Monday Night Talk! Tyler, who is a highly sought after Cyber Intelligence Expert with over 16 years of highly technical experience and almost 13 years with the Department of Defense discusses what companies must do to educate their employees about "spear phishing," phishing, and other cyber security issues. She recently joined Inspired eLearning as a Cyber Security Adviser and Media Spokesperson. She is a true cyber authority who engages audiences with her insight, giving businesses, non-profits and the general public the tools they need to defend themselves in the digital world. Prior to joining Inspired, Tyler was at the U.S Defense Intelligence Agency (DIA) under the Department of Defense (DoD) where she served as a Senior Intelligence Officer, Deputy Cyber Division Chief and the DIA Science and Technologies Directorate-selected Cyber Subject Matter Expert (SME). Along with developing highly technical cyber solutions, she made decisions and recommendations significantly changing, interpreting, and developing important cyber policies and programs affecting current and future DoD and Intelligence Community policies. Her recent book, Catching the Catfishers: Disarm the Online Pretenders, Predators, and Perpetrators Who Are Out to Ruin Your Life (April 2014, The Career Press), teaches the public how to safely and successfully navigate the online world, protect yourself, your children, your privacy, and learn how to be sure if someone is who they claim to be online. For more information on cyber safety and the latest in cyber news, be sure to go to www.inspiredelearning.com. Do you have an topic for a future show or info on an upcoming community event? Email us at mondaynighttalk@gmail.com or "like" and post a comment on our Facebook page: www.facebook.com/mondaynighttalkon959fmwatd. If you're a fan of the show and enjoy our segments, you can either download your favorite segment from this site or subscribe to our podcasts through iTunes today! © Monday Night Talk with Kevin Tocci - 2016. Unauthorized use and/or duplication of this material without express and written permission from the show host and/or owner is strictly prohibited. Shirley Asack, a two term Brockton City Councilor and candidate for the open 9th Plymouth District State Representative seat is a guest on Monday Night Talk! Shirley discusses her run for office and what she thinks will be some of the issues in the race. 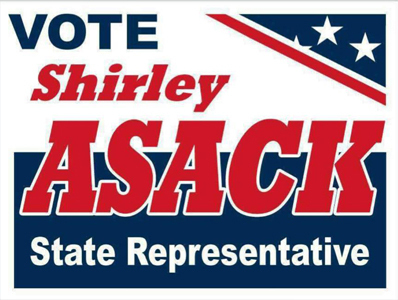 For more info on Shirley's campaign, visit her Facebook page: https://www.facebook.com/Shirleyasackforstaterepresentatives/. Do you have an topic for a future show or info on an upcoming community event? Email us at mondaynighttalk@gmail.com or "like" and post a comment on our Facebook page: www.facebook.com/mondaynighttalkon959fmwatd. If you're a fan of the show and enjoy our segments, you can either download your favorite segment from this site or subscribe to our podcasts through iTunes today! © Monday Night Talk with Kevin Tocci - 2016. Unauthorized use and/or duplication of this material without express and written permission from the show host and/or owner is strictly prohibited.